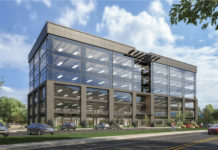 The three Lehi fire stations have taken on a tradition from the east coast of naming the individual fire stations and giving them a motto and identity. Fire Department Chief Jeremy Craft presented the new station house names and logos at the November 13 Lehi City Council meeting. “One of the things I vowed to do when I became chief was hold on to as many fire service traditions as I possibly could without impeding progress or hindering service,” said Chief Craft. 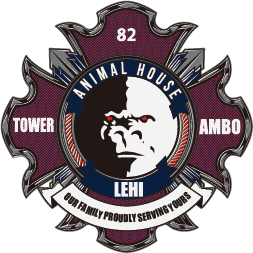 “One thing I wanted to do from the beginning is come up with station mantras and mascots.” Each of the Lehi fire stations were challenged to come up with an identity and a mascot and Ivan Radcliff, firefighter AEMT, designed the house seals. 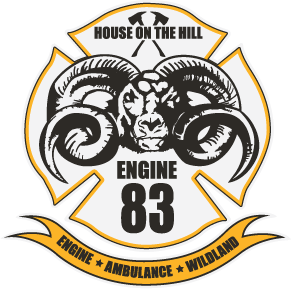 Station 83, Lehi’s newest fire station serving the Traverse Mountain area, chose the station name, “House on the Hill,” since they serve a more mountainous area of the city. Their mascot, appropriately, is a ram. 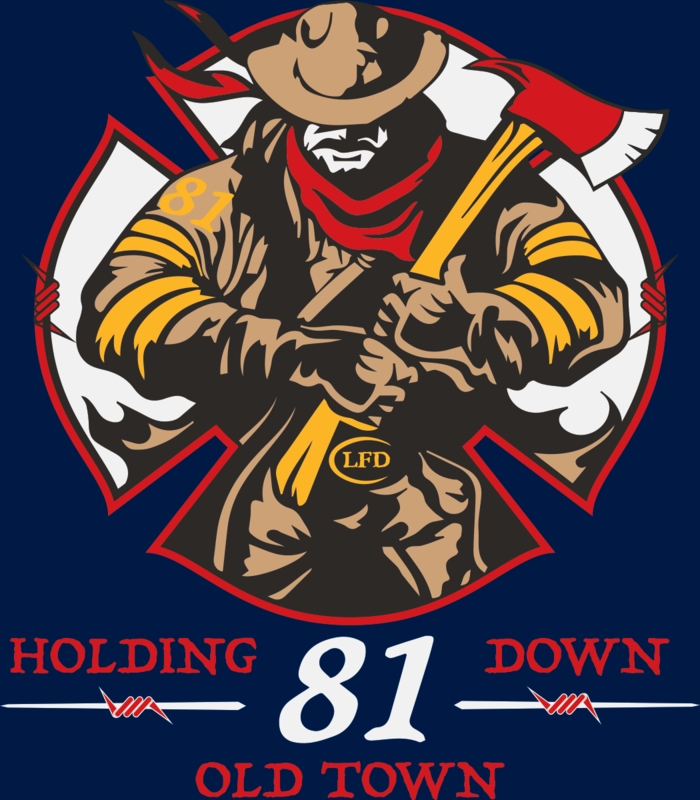 The new seals are featured on T-shirts issued to firefighters at each station house in Lehi, and on the flags attached to apparatus at each station. Chief Craft gave the members of the Lehi City Council a shirt with the seal from the station house that serves their home. “We’re looking for a little more ownership and pride in our station houses,” said Chief Craft.